Grunge legend Kurt, Dave's Nirvana bandmate, took his own life in 1994, months after the band, also made up of Krist Novoselic, recorded their iconic MTV Unplugged album. Recalling the aftermath of the 27-year-old's death, musician and singer Dave said he was so badly affected that he couldn't bear to hear any music. "I went through a really dark period where I couldn't really even listen to the radio because it broke my heart just to hear music," he admitted to CBS Sunday Morning. "When most people think about Nirvana, they think about a video or a song on the radio, but to me it was a really personal experience with some friends that went from sleeping on floors to then being the number one band on the charts." 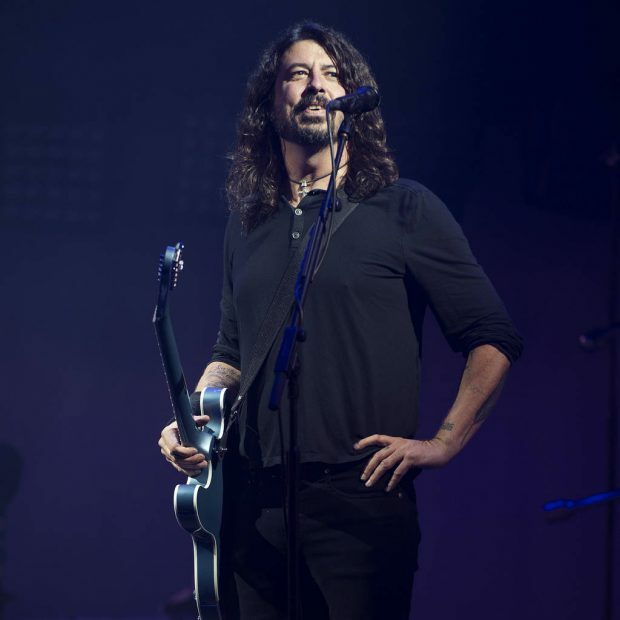 After Nirvana disbanded following Kurt's death, Dave went on to find success as the frontman of the Foo Fighters, the group he originally founded as a one-man band. Creating his own band gave him the opportunity to be more than a a drummer, and allowed the 49-year-old to write and play his own songs. "I didn't like my voice," he shrugged. "I didn't think I was a songwriter, and I was in a band with one of the greatest songwriters of our generation. I didn't really want to rock the boat. That's the famous joke: What's the last thing the drummer said before he got kicked out of the band? 'Hey guys, I've got some songs I think we should play.' So I just kind of kept it to myself."